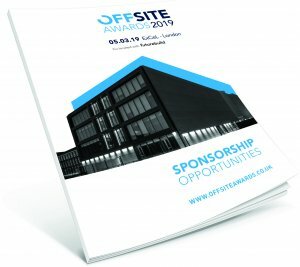 The Offsite Construction Awards provides one of the most effective platforms for targeting the offsite industry, presenting the ideal opportunity for you to maximise exposure and penetrate this economically important market. The 2019 marketing campaign is ramping up and many of the sponsorship packages have already been snapped up by savvy companies wanting to gain the full exposure that the next nine months will bring. 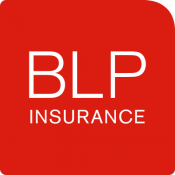 BLP (Building LifePlans Ltd) provides housing warranty insurance and commercial development latent defects insurance underwritten by Allianz Global Corporate & Specialty SE. We also offer life cycle assessments and durability design assessments for offsite construction. We have been providing construction insurance since 1989, trading as BLP since 1999. We are owned by Thomas Miller, a world class insurance services business at the forefront of the insurance industry for over 125 years. We are also a premier consultancy resource for “whole life cost” data and methodology in UK residential construction, and offer durability assessments for clients who need to fast-track the adoption of innovative systems. Visit www.blpinsurance.com for more information. Futurebuild is the evolution of ecobuild and fulfilment of the bold vision for the future that we first announced following the acquisition of the event at the end of 2016. Visit www.futurebuild.co.uk for more information. Hadley Group is a world leader in advanced cold rolled steel technology, with manufacturing facilities in Europe, the Middle East and Southeast Asia, and more than 600 employees worldwide. We deliver innovative solutions with applications across sectors as diverse as construction, automotive, industrial and agriculture. At the heart of this is UltraSTEEL®, a patented cold rollforming process that enables the production of components with up to 20% more strength and a similar reduction in raw materials. Our heritage extends back for over 50 years and has been built on the skills of our workforce, ongoing investment in innovative and productive technologies, and the long term relationships that we maintain with customers around the world. We have shaped our business around adding value for our customers; understanding their diverse needs and, through local expertise, market insight and manufacturing capabilities, delivering beyond expectation. Manufacturing excellence, first class customer service and unrivalled expertise in meeting the needs of the market. Visit www.kingspan.com for more information. NHBC is the UK's leading provider of warranty and insurance for the new homes industry. We work with our registered house builders to improve the construction standards of the new homes they build for the benefit of the industry and homeowners. Our experienced technical staff work with Offsite Manufacturers to assess systems and components to ensure they are suitable for their intended use. With Aquarian you get brilliance built in. Our vast product knowledge and industry expertise mean we guarantee simpler, faster builds that perform precisely as they should. Our systems are tried and tested, their installation is swift and straightforward and they need little or no maintenance. The beneﬁts we bring to your project are all rooted in working more intelligently, using quality systems and components for streamlined construction and better-performing buildings. We’re happy to provide procurement and technical advice to developers, architects and building contractors to minimise the risk of surprises throughout design, speciﬁcation, tendering and installation. From residential to retail, public or private sector, we connect current building practice with progressive technologies to save time, money and the environment. For more information, visit www.aquariancladding.co.uk. The British Board of Agrément (BBA) is the UK’s leading construction certification body, offering approval, certification and expert test services to manufacturers of products and systems in the construction industry. The BBA is a UK mark of excellence, ensuring products are safe, high quality, reliable and regulatory compliant. A BBA logo is the ultimate stamp of consumer confidence and is sought after as a standard procedure by specifiers and architects operating within the industry. Visit www.bbacerts.co.uk for more information. Visit www.cogent-consulting.co.uk for more information. BSRIA is an ISO 9001 Registered test, instruments, research and consultancy organisation, providing specialist services in construction and building services. As a non-profit distributing, member-based association, clients can be assured of our independent approach and authoritative reputation. Any profits made are invested in our on-going research programme, producing industry recognised best practice guidance.BSRIA (owned by The Building Services Research and Information Association) was founded in 1955 and had a turnover of £14.5 million in 2015-16. We employ over 200 people at our head office in Bracknell (UK), at regionally based construction compliance offices throughout the UK; at offices in France, Spain, China, USA; and Associates in Northern Ireland, Japan, Brazil and Australia. Visit www.bsria.co.uk for more information. As leading offsite innovators with over 14 years expertise across all construction sectors – EOS specialise in the design, manufacture and supply of a wide range of bespoke steel framing systems (SFS) for the offsite markets. A major extension to our advanced manufacturing facility has just been completed together with the development of a new fabrication plant which will support our market leading ‘lump-sum’, all-inclusive pricing initiative and complement our ‘total supply’ offering. In addition to the five Howick steel framing machines currently in operation, to further expand our product portfolio and manufacturing capacity, we have invested in a new multiwidth (boxer) machine and installed overhead cranes for lifting and moving frames and steel coils around the extended facility. This work has been undertaken in preparation for the increased workload with the development of our complete walling solution and load-bearing systems to support our offsite initiatives. Fermacell has joined the James Hardie Group. James Hardie is a world leader in manufacturing fibre cement cladding and backerboard. Fermacell is the leading gypsum fibreboard producer and also offers a wide range of fire system solutions. For more information please visit www.fermacell.co.uk. FSi Develop and Manufacture a full range of Built-In Fire Protection Systems to Protect infrastructure and assets around the world. Key here is the reference to systems and not individual products. It is paramount fire protection systems are installed to uphold the prescribed fire performance of a structure, FSi offer this to the worldwide market. We pride ourselves on the high level of testing and technical expertise that has been built up through years of experience within the industry, from site installation to Multi-National distribution organisations. FSi ensure the correct solutions are specified and delivered to strict budgets and timescales ensuring technical specifications are met. Launched in October 2016, the Infrastructure Industry Innovation Platform (i3P) is an independent innovation community governed by representatives from its member organisations. Membership is open to clients (currently major infrastructure projects and construction programmes) and their supply chains (Tier 1 contractors and consultants) across the infrastructure industry. As a primary driver for innovation in the UK infrastructure industry, i3P will help transform ideas into opportunities and practical solutions; providing a mechanism for strategically directing innovation to address the major challenges facing the infrastructure industry. By fostering a truly collaborative culture of innovation across both infrastructure clients and their supply chains, i3P will create a ‘safe space’ to identify areas for potential industry improvement, share ideas, and enable members to partner in projects that drive increased value across the infrastructure industry. Visit www.i3p.org.uk for more information. Spatial Initiative unites Styles&Wood’s skills in pre-construction, fit-out and project delivery with Extraspace Solutions’ innovation in modular construction, to offer the construction industry a uniquely tailored service delivering buildings that really work for our clients and their end users. Bringing together modern construction methods and our integrated services ensures we are able to maximise efficiency and value, with effective and proven solutions at every stage of the project, from concept through to completion. Collectively we draw on each partner’s wide range of capabilities, knowledge and relationships to drive down costs and provide expertise to our clients across their estates delivery strategy. Visit www.spatial-initiative.com for more information. 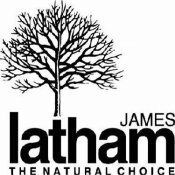 Established in 1757, James Latham plc has been importing and distributing timber and wood based panel products to the UK for more than two and a half centuries. Under the continuing direction of the Latham family, the business – whose current management team includes a number of ninth generation family members - has developed into an industry leader in panel products, hardwood, and hardwood flooring and joinery quality softwood. Latham’s wide-ranging and ever-expanding portfolio includes an extensive choice of innovative surface solutions for architects and interior designers ranging from veneered, melamine and laminated panels to acrylic solid surface. The company also offers an extensive range of high performance door blanks, lightweight MFC boards, Birch plywood, plus hardwood and softwood plywood. In addition, as one of the largest distributors of MDF in the UK, stocks are held of standard, light, moisture resistant, F.R and Exterior panels. Visit www.lathamtimber.co.uk for more information. LHC is a not-for-profit procurement consortium with over fifty years’ experience of housing and construction. We are a leading provider of free-to-use framework agreements used by local authorities, social landlords and other public sector bodies to procure works, products and services for the construction, refurbishment and maintenance of social housing and public buildings. For more information, visit www.lhc.gov.uk. From raw materials and construction products to buildings and infrastructure, whether new-build or redevelopment projects, Lucideon are experts in all things building and construction. Lucideon works with clients throughout the lifecycle of their products, systems and buildings, from developing new materials and laboratory testing, to factory production control and on-site investigations. Visit www.lucideon.com for more information. Founded in 1938, MPBA play a key role in connecting all sectors of the modular and portable building industry together. Regardless of size and the type of business in the industry, by becoming an MPBA member you will join an Association with many other professionals which will open the door to various opportunities and add significant value to your company. Visit www.mpba.biz for more information. Modular Building innovators for more than 50 years, operating in 7 countries, employing more than 1,750 people. That's precisely what Portakabin has been doing for the past 50 years. Today, we operate in seven countries and employ more than 1,750 people in the UK, Ireland, France, Belgium, Germany, Luxembourg and Holland. Since the company was founded as a pioneering manufacturer of portable and modular buildings, we have continued to innovate and develop exceptional buildings that meet the challenges of efficient, sustainable, high-quality construction..
Visit www.premierguarantee.co.uk for more information. Salus Approved Inspectors, an alternative to local authority building control, help developers and designers to overcome the obstacles presented in regards to industry legislation and building regulations. Covering all aspects of building control, fire engineering and fire safety consultancy, Salus have specialist expertise in high density developments, education, health, sport, leisure, retail, commercial, listed and historic buildings. A non-bureaucratic service and complete nationwide coverage has secured the company as one of the most experienced approved inspectors in the market. Visit www.steel-sci.com for more information. The Sigmat LGSF system is capable of 15 storeys inclusive of concrete floors, steel staircases and lift shafts that can include for a podium transfer thus offering a fully integrated design and construct package built independently without the need for scaffold. Our team specialises in the design, manufacture, assembly & installation of all key components which make up the complete structural envelope. We offer a complete solution giving shorter on-site programmes and a significant contribution to reducing overall costs. Visit www.sigmat.co.uk for more information. At StrucSoft Solutions, we pride ourselves in delivering excellent products and services to ensure the continued success of our clients. Led by our team of experts, we enable members of the AEC community to automate the modelling, clash detection, engineering and manufacturing of their wood or light gauge steel structures quickly and efficiently, using MWF. This is all made possible with the help of our talented, knowledgeable and hard-working team of professionals. Visit www.strucsoftsolutions.com for more information. Vision Modular Systems UK Ltd manufactures volumetric 3D structural modules for the Construction Industry to be used in sectors such as Hotels, Residential Apartment Buildings, and Student Accommodation. The Vision Modular Systems’ manufacturing process is a controlled assembly line environment, manned by skilled operatives who are supported by quality control and technical guidance personnel. The automated production lines transfer the modules through the manufacturing process where all internal finishes, M&E installations, windows, external insulation and some external finishes are applied. The Vision Modular System extends from the manufacturing to the delivery of the modules to site where the process continues with the module installation, followed by final connections and commissioning being carried out under strictly monitored procedures by Vision site based personnel. The Vision Modular System modules are manufactured utilising integrated structural steel framing with solid concrete floors..
Visit www.visionmodular.com for more information. ARV Solutions are recruitment specialists in engineering, construction and manufacturing. Our proven record spans over a decade, placing permanent and contract candidates from Graduates and Designers to Directors and Executives across the UK and internationally. We are leaders in recruiting for timber frame, modular building and the wider offsite and construction, and sustainability sectors. Visit www.arvsolutions.co.uk for more information. EGGER (UK) Ltd. specialises in the design and manufacture of industry-leading commercial and domestic structural flooring solutions for UK housebuilders. Its Advanced Structural Flooring System comes with a unique lifetime guarantee and uses a simple six step installation process. It is based on EGGER’s portfolio of structural P5 grade flooring boards – EGGER P5, EGGER Peel Clean Xtra and EGGER Protect. The boards feature enhanced moisture-resistant properties and a precise, diamond-tipped cut tongue and groove profile. Visit www.egger.com/building for more information. FP McCann is the UK’s largest manufacturer and supplier of precast concrete solutions. We manage projects from conception to completion and handover by providing facilities and general management throughout the build programme. FP McCann is committed to high quality, cost-effective and sustainable solutions tailored to meet clients’ budgets and expectations. FP McCann through its Quarries, Surfacing, Readymix and Precast plants, supply a wide range of heavy building materials to the construction industry. We offer a range of sustainable and innovative product solutions that complement our standard package of products and services. Visit www.fpmccann.co.uk for more information.